Royal Corin Resort & Loto Spa is the best answer if you are looking for a comfortable and luxurious destination in one of the most beautiful areas in Costa Rica. Located in La Fortuna, Costa Rica. 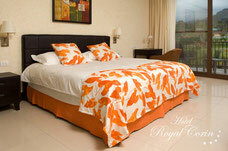 Royal Corin offers great service with accessible rates to enjoy Arenal Volcano, fun & entertainment. 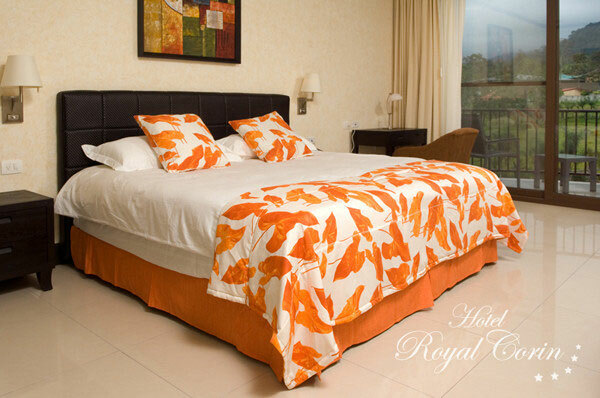 Quiet atmosphere in harmony with natural wealth of the area of the majestic Arenal volcano. Each room has fantastic view of the volcano mainly because of the excellent architectural design of this five stories hotel. Three floors are strictly for lodging. The Royal Corin means an excellent chance to rest and enjoy several sports with recreation options. - 24 hours Front desk. - Two elevators for guests. - Thermal water in pools. - Central telephone with voice mail and phones in every room. 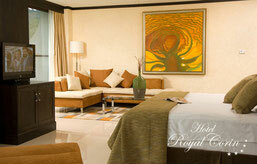 Simplicity and decorative harmony that turns her into an excellent choice if it looks for a cozy environment. 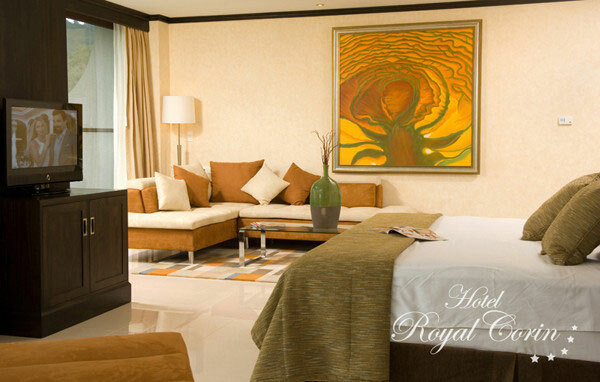 For your comfort we offer 30 rooms with an alone bed size King and 12 rooms with two queen size beds. Marked by a modern environment, the junior suite undoubtedly turn into an excellent option for those who please the captivation and the quality in an environment more widely.